Our teams are active in Edinburgh 52 weeks of the year; distributing leaflets, flyers and posters to bars, cafes and shops and also out on the street engaging face to face with the general public. Come the summer we ramp up our distribution even more; our postering team trebles in size, we distribute over 100 branded display racks across the city specifically for Fringe flyers and our street teams are active and available seven days a week, almost 24 hours a day! 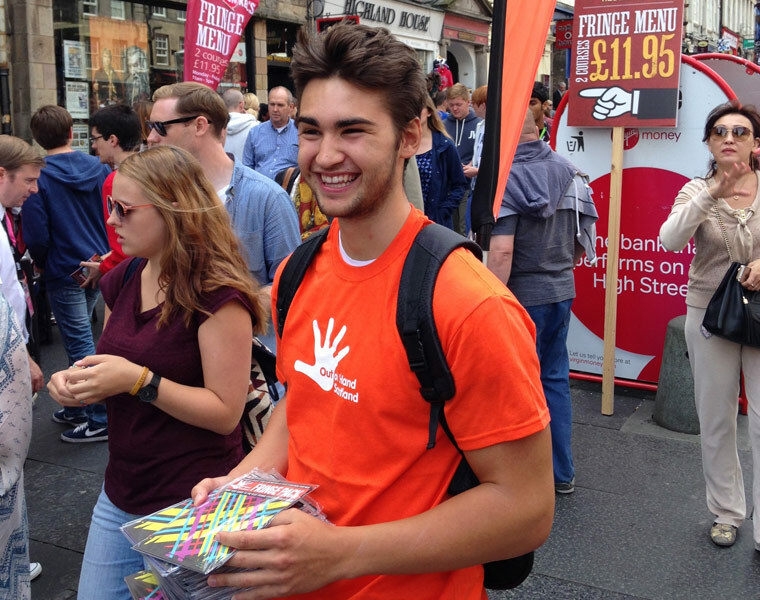 Our street teams are friendly, outgoing and presentable and provide an ideal first impression for your event, products or services when out in public.